In any restaurant, a menu is a silent assistant that sell for you. It is the first point of contact for people who visit to dine at your cafe, restaurant or bar. 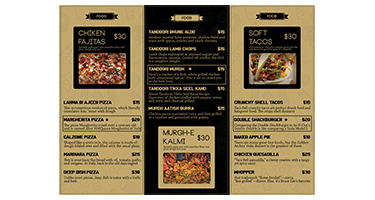 Either you use digital menu card or paper card it enhances the user convenience by adding value to your business. 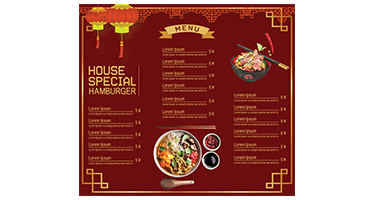 An attractive or thoughtfully designed menu is essential as it can enhance customer experience and improve your profit through targeted sales. Either you have the new foodie hotspot or already running any restaurant you deserve an attractive menu as delicious as your food to attract foodies. 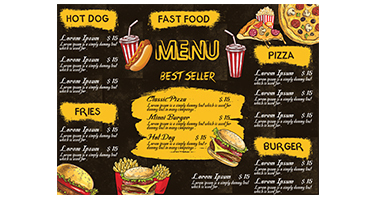 Contact us so that our designers a DeDevelopers - best web design agency in London, UK will create a custom menu according to your requirements that’ll make your visitor’s mouth water, for sure.